The most interesting and thought provoking publications on various aspects of the tight junctions are highlighted on the menu. These include the structure, structure-function relationship, as well as cellular and physiological significance. 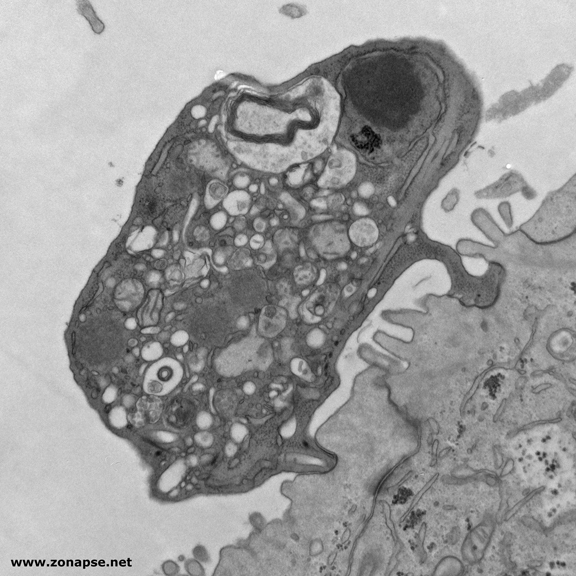 Shown below is an apoptotic T84 cell forming tight junction-like structure with other cells within the epithelial monolayer. www.Zonapse.Net 2006-2017 All Rights Reserved.